What is cocaine? What is crack? What are cocaine's effects on the body and the mind? What causes and prevents cocaine abuse and addiction? What are symptoms and signs of cocaine abuse and addiction? How do health care professionals diagnose cocaine addiction? What is the treatment for cocaine and crack addiction? What are the long-term effects and the prognosis for cocaine and crack addiction? What are symptoms and signs of cocaine withdrawal? Where can people find more information about cocaine and crack abuse? Powder cocaine, also called coke, nose candy, snow, blow, or toot, is a drug that comes from the coca plant. Crack cocaine, or so-called rock or rock cocaine, is cocaine in solid form. About 25 million people in the United States use cocaine at least once during their lifetime. Symptoms of cocaine intoxication include intense euphoria and pleasure followed by the person becoming hyperactive and hyperalert. Once the high associated with cocaine intoxication wears off, the individual tends to become agitated, irritable, and physically uncomfortable. Cocaine intoxication often dramatically increases the release of the neurotransmitters dopamine, norepinephrine, and serotonin. Cocaine abuse and addiction is one of a number of stimulant-use disorders and has no single cause but is rather due to the combination of biological, psychological, and social factors. Withdrawal symptoms and signs for cocaine include irritability, decreased appetite, sleep problems, and craving the drug. Symptoms of cocaine-use disorder include recurring use of large amounts of the substance over long periods of time, craving the substance, needing more drug to achieve intoxication over time, symptoms of withdrawing from the substance, drug use that interferes with important obligations, and trouble refraining from using cocaine. People who have cocaine use disorder are more likely to engage in risky sexual behaviors and experience their consequences, as well as having an increased risk of suicide, homicide, domestic violence, and other forms of violence. Medical risks of cocaine use disorder, particularly when in crack form, include tearing of the major artery in the body (aortic dissection) or stroke associated with very high blood pressure. It is also a risk factor for heart attack. For children exposed to cocaine in utero, the difficulties it can cause have been detected as early as during infancy. Since there is no one specific test that definitively determines that someone has cocaine-use disorder, health care professionals diagnose this disorder by gathering comprehensive medical, family, and mental health information, as well as securing a physical examination and lab tests to evaluate the sufferer's medical state. Treatment services for cocaine use disorder remains largely unutilized by most sufferers of this illness. The major goals for recovery are abstinence, relapse prevention, and rehabilitation. During the initial stage of abstinence, a person with cocaine or other substance use disorder may need detoxification to prevent or decrease the effects of withdrawal. For many people with chemical dependency, much more difficult and time-consuming than recovery from the physical symptoms of cocaine-use disorder is psychological addiction. The treatment of dual diagnosis (the combination of a substance-use disorder and another mental health disorder) seems to be more effective when treatment of the individual's mental illness is coordinated with addressing the individual's chemical dependency. Recovery from cocaine-use disorder usually includes episodes of remission and relapse. Psychologically, intoxication with or withdrawal from a substance can cause everything from euphoria as with alcohol, Ecstasy, or inhalant intoxication, to paranoia with marijuana or steroid intoxication, to severe depression or suicidal thoughts with cocaine or amphetamine withdrawal. In terms of effects on the body, intoxication with a substance can cause physical effects that range from marked sleepiness and slowed breathing as with intoxication with heroin or sedative hypnotic drugs, to the rapid heart rate of cocaine intoxication, or the tremors to seizures of alcohol withdrawal. Powder cocaine, also called coke, nose candy, snow, blow, or toot, is a drug of abuse that is an off-white colored powder derived from the coca plant, which is indigenous to the western region of South America (for example, Argentina, Bolivia, Columbia, Ecuador and Peru). When converted to cocaine, coca has been used to stop nosebleeds and as a local anesthetic in some surgeries. When the cocaine base is mixed and heated with ether (cooked), a highly flammable substance (freebase), the gas that is the result of that process is released in its pure form, can be inhaled. Crack cocaine, also called rock or rock cocaine, describes cocaine in solid form. It is manufactured by mixing powder cocaine with baking soda and water, which generates a highly concentrated and therefore highly addictive form of the substance. Crack users take crack cocaine by putting the cocaine rocks into a crack pipe and smoking them. The term crack cocaine is thought to have appeared in print for the first time in the New York Times in 1985, but crack use was known to be occurring in major inner cities like Miami, Los Angeles, Oakland, and Houston as early as 1981. Cocaine is one of a number of street drugs that people abuse in a number of different ways, including injecting, smoking, inhaling associated vapors, or taking it in through the nose by snorting. When cocaine is mixed with heroin or morphine, it is called a speedball. The first speedballs were specifically the mixture of cocaine hydrochloride and morphine sulfate. They are taken either intravenously or by blowing the drug dust into a body cavity (insufflation), like breathing it in. The time it takes for an individual to feel the effects of cocaine and the amount of time that cocaine stays in the bloodstream is a function of the way the drug is taken. For example, when cocaine is in the solid form of crack cocaine, the person feels the effects of smoking the drug within seconds and the effects are short term, while the powder form of cocaine that is snorted (taken intranasally) takes up to 10 minutes to take effect and lasts somewhat longer. Regardless of how this drug is taken, it tends to cause the user to become intensely euphoric and to have a highly intensified sense of every pleasure. Then the person tends to become hyperactive and excessively alert. Once the high wears off (in less than 20 minutes for smoking crack), the person often becomes irritable, agitated, and uncomfortable. Regardless of whether cocaine is smoked, snorted, or injected, the physiological (biological) effects of cocaine on the brain involve the drug's effects on brain chemicals called neurotransmitters. Specifically, cocaine tends to dramatically increase the release of dopamine, norepinephrine, and serotonin. Because these chemicals are involved in pleasure and well-being, alertness, increase in blood pressure and pulse (heart rate), as well as happiness, the effects of cocaine on the body and mind are consistent with these side effects. Other physical signs and symptoms of cocaine use include decreased appetite, sleep, and male infertility. When a person withdraws from the effects of cocaine, the decrease in neurotransmitters can result in a sudden drop in blood pressure or pulse, severe depression, and sometimes even suicidal thoughts and attempts. For those who overdose on cocaine, the effect of excess dopamine can cause anger, aggressiveness, violence, psychosis, and sometimes homicidal thoughts and behavior. Physical symptoms that can occur when a person smokes, snorts or injects cocaine in overdose can include seizures, irregular heartbeats (arrhythmias), and heart attack. Cocaine abuse also tends to result in decreased inhibitions that can lead to risky sexual and other high-risk behaviors. Like most other mental health problems, cocaine-use disorder has no single cause, but there are biological, psychological, and social risk factors that can increase a person's risk of developing a chemical use disorder. The frequency that substance-use disorders occur within some families tends to be higher than can be explained by the addictive environment of the family. Therefore, most substance-abuse professionals recognize an inherited risk of drug addiction. This is particularly true for cocaine dependence. Symptoms of mental illness that can be caused by cocaine-use disorder include mood disorders like depression, anxiety, or bipolar disorder, as well as personality disorders like antisocial personality disorder. Social risk factors for drug addiction include male gender, being 18 to 44 years of age, Native American heritage, single marital status, and lower socioeconomic status. Statistics by state indicate that people living in the West tend to be at higher risk for chemical-use disorder. Consistent with substance abuse in general, prevention of cocaine-use disorder is increased by circumstances like receiving adequate supervision, as well as clear indications from family members that cocaine use is not acceptable. Some formal, school-based anti-drug programs have also been effective in preventing crack use, as well as other forms of cocaine use disorder. Tolerance is either a significantly diminished effect of cocaine or a need to substantially increase the amount used to achieve the same high or other desired effects. Larger amounts of cocaine are taken or for longer than planned. The person experiences persistent desire to take the drug or has made unsuccessful attempts to decrease or manage its use. Substantial amounts of time are spent getting, using, or recovering from the effects of cocaine. The individual significantly decreases or stops engaging in important social, recreational, work, or school activities as a result of using cocaine. There is no one test that determines that someone has cocaine-use disorder with complete certainty. Therefore, health care professionals assess for these disorders by thoroughly gathering medical, family, and mental health information. The practitioner will also either conduct a physical examination or ask that the person's primary care doctor do so. The physical examination usually includes lab tests to assess the person's general health and to explore whether or not the individual has a medical problem that includes mental health symptoms. In inquiring about mental health symptoms, mental health professionals are often trying to find out if the person currently or previously suffered from depressive and/or manic symptoms, as well as whether he or she experiences anxiety, hallucinations, delusions, or some behavioral disorders. Health care practitioners may provide those they evaluate with a questionnaire or self-test to screen for cocaine, heroin, amphetamine, and other substance-use disorders. Since some of the symptoms of cocaine-use disorder can also be exhibited in other mental illnesses, the mental health screening helps assess whether the person has bipolar disorder, an anxiety disorder, schizophrenia, schizoaffective disorder, or other psychotic disorders, a personality or behavior disorder like narcissistic personality disorder or a behavioral disorder like attention deficit hyperactivity disorder (ADHD). Any condition that is associated with sudden changes in behavior, mood, or thinking, like bipolar disorder, a psychotic disorder, borderline personality disorder, or dissociative identity disorder (DID), may be particularly difficult to tell apart from some symptoms of cocaine abuse or dependence. To evaluate the person's current emotional state, health care experts perform a mental-status examination, as well. In addition to providing care that is appropriate to the condition and to the individual in need of it, assessing for the presence of mental illnesses that may co-occur (comorbid/dual diagnosis) with cocaine-use disorder is important in promoting the best possible treatment results. Dual diagnosis of cocaine-abusing or addicted individuals indicates the need for treatment that addresses both disorders in an integrated way by professionals with training and experience with helping this specific group of people. An unfortunate aspect of the treatment of cocaine and other substance-use disorders is that it continues to be unutilized by most addicted individuals. For example, less than 40% of those with a substance-use disorder receive treatment. That statistic seems to be independent of socioeconomic or other demographic characteristics but seems to be associated with the presence of other mental health disorders (comorbidity). The primary goals for the treatment of addiction (also called recovery) are abstinence, relapse prevention, and rehabilitation. When the addicted individual first refrains from using drugs, he or she may need help avoiding or lessening the effects of physical withdrawal. That process is called detoxification or detox. That aspect of treatment is usually conducted in a hospital or other inpatient setting (often called detox facilities), where medications used to decrease withdrawal symptoms can be given and frequent medical assessments can be performed. The medications used as part of detox depend on the substance the individual is dependent upon. As with many other drugs of abuse, the detox process from cocaine is the most difficult part of coping with the physical symptoms of addiction and tends to last for days. Medications that are sometimes used to help cocaine addicts refrain from using drugs use include propranolol (Inderal, Inderal LA, InnoPran XL), which decreases some of the physical symptoms associated with cocaine withdrawal, as well as vigabatrin (Sabril), a medication that treats seizures. Some medications may help reduce the likelihood that a person with cocaine addiction relapses. Examples of this include another antiseizure medication like topiramate (Topamax) and antidepressants like citalopram (Celexa). Often much more complicated, challenging, and time-consuming than recovery from the physical aspects of cocaine addiction is treatment of the psychological addiction. Individuals who seem to have less severe psychological symptoms of cocaine dependency may be successfully treated in an outpatient treatment program. People who have a more severe addiction, have relapsed after participating in outpatient programs, or also suffer from a severe mental illness might need the higher level of structure, guidance, and monitoring involved in an inpatient drug treatment center, often referred to as "rehab." After inpatient treatment, many cocaine addicts may need to live in a sober-living community, that is, a group-home setting where counselors provide continued sobriety support and structure on a daily basis. Research indicates that every aspect of treatment is improved when the customs and culture of treatment recipients are considered and incorporated into the process. Another important part of treating cocaine addiction is helping family members and friends of the addicted person avoid supporting addictive behaviors (codependency). Since codependent loved ones may provide financial support, make excuses for the drug use, or fail to acknowledge the addictive behaviors of the cocaine addict, discouraging such codependency of loved ones is a key part of the recovery of the affected person. Focusing on the cocaine-addicted individual's role in the family and friend groups likely becomes even more urgent when that person is a child or teenager, given that minors almost always come within the context of a family, and teens' identities tend to be intimately related to their friend groups. Cocaine dependency treatment for children and adolescents differs further from that in adults by the younger addict's tendency to need help completing their education and considering higher education or job training compared to addicts who may have completed those life goals before developing the addiction. While treatment of cocaine-use disorder with acupuncture has been explored somewhat, there has yet to be large scale evidence of its effectiveness. Drug addiction increases the risk of a number of negative life stressors and conditions. As with many other addiction sufferers, individuals who are addicted to cocaine are at increased risk for school failure, unemployment, homelessness, and domestic violence. Potential medical complications of cocaine abuse, particularly when in the form of crack cocaine, include tearing the major artery in the body (aortic dissection), which is associated with extremely high blood pressure. Cocaine use is also a risk factor for having a heart attack. For children who are exposed to cocaine while in the womb (in utero/prenatally), the problems it can cause have been found to occur as early as infancy. For example, babies who had prenatal cocaine exposure have been found to be at higher risk for having memory problems and trouble paying attention. Preschool and school-aged children have been found to be more likely to have trouble paying attention and regulating their behaviors if they have been exposed to cocaine in utero. Children with a history of being exposed to cocaine during their first trimester of development in utero tend to have slower growth over the long term compared to children who are not. Even if effectively treated, the prognosis of dependency on smokable or any other form of cocaine can be challenging. Episodes of remission (abstinence from drug use) and relapse often characterize recovery from substance abuse. Therefore, follow-up supportive services should be provided indefinitely. Withdrawal symptoms and signs for cocaine include irritability, depression, stomach upset, itching, problems with sleep, and craving the substance. The depression may be severe, even resulting in suicidal thoughts, plans, or attempts. Ackerman, J.P., T. Riggins, and M.M. Black. "A Review of the Effects of Prenatal Cocaine Exposure Among School-Aged Children." Pediatrics 125.3 Mar. 2010: 554-565. American Psychiatric Association. Practice Guideline and Resources for Treatment of Patients with Substance Use Disorders, Second Edition. Arlington, Virginia: American Psychiatric Association, 2006. Barbosa de Carvalho, H., and S.D. Seibel. "Crack Cocaine Use and Its Relationship With Violence and HIV." Clinics (Sao Paulo) 64.9 Sept. 2009: 857-866. Bhuvaneswar, C.G., G. Chang, L.A. Epstein, and T.A. Stern. "Cocaine and Opioid Use During Pregnancy: Prevalence and Management." Primary Care Companion for the Journal of Clinical Psychiatry 10.1 (2008): 59-65. Brodie, J.D., B.G. Case, E. Figueroa, et al. "Randomized, Double-Blind, Placebo-Controlled Trial of Vigabatrin for the Treatment of Cocaine Dependence in Mexican Parolees." American Journal of Psychiatry 166 (2009): 1269-1277. Chermack, S.T., R.L. Murray, M.A. Walton, B.A. Booth, J. Wryobeck, and F.C. Blow. "Partner Aggression Among Men and Women in Substance Use Disorder Treatment: Correlates of Psychological and Physical Aggression and Injury." Drug and Alcohol Dependence 98.1-2 Nov. 2008: 35-44. Committee on Drugs, American Academy of Pediatrics. "Neonatal Drug Withdrawal." Pediatrics 101.6 June 1998: 1079-1088. Compton, W.M., Y.F. Thomas, F.S. Stinson, and B.F. Grant. "Prevalence, Correlates, Disability and Comorbidity of DSM-IV Drug Abuse and Dependence in the United States." Archives of General Psychiatry 64.5 (2007): 566-576. Drug Enforcement Administration (DEA). DEA History Book, 1876-1990. Washington, D.C.: U.S. Department of Justice, 1991. Etheridge, R.M., J.C. Smith, J.L. Rounds-Bryant, and R.L. Hubbard. "Drug Abuse Treatment and Comprehensive Services for Adolescents." Journal of Adolescent Research 16 (2001): 563-589. Gates, S., L.A. Smith, and D.R. Foxcroft. "Auricular acupuncture for cocaine dependence." Cochrane Database Systematic Review 2006. Guerrero, E., and C.M. Andrews. "Cultural competence in outpatient substance abuse treatment: Measurement and relationship to wait time and retention." Drug and Alcohol Dependence 119 (1-2) Dec. 2011: 13-22. Heard, K., R. Palmer, and N.R. Zahniser. "Mechanisms of acute cocaine toxicity." Open Pharmacology Journal 2008. Hsue, P.Y., C.L. Salinas, A.F. Bolder, et al. "Acute Aortic Dissection Related to Crack Cocaine." Circulation 105 (2002): 1592. Johnson, B.A., N. Ait-Daoud, X.Q. Wang, et al. "Topiramate for the treatment of cocaine addiction: a randomized clinical trial." Journal of the American Medical Association Psychiatry 70.12 Dec. 2013: 1338-1346. Kumar, S., A. Kumari, and S. Muraka. "Lifestyle Factors in Deteriorating Male Reproductive Health." Indian Journal of Experimental Biology 47.8 Aug. 2009: 615-624. Lam, W.K., J.D. Cance, A.N. Eke, et al. "Children of African-American Mothers Who Use Crack Cocaine: Parenting Influences on Youth Substance Use." Journal of Pediatric Psychology 32.8 (2007): 877-887. Margolin, A., H.D. Kleber, S.K. Avants, et al. "Acupuncture for the treatment of cocaine addiction: a randomized controlled trial." Journal of the American Medical Association 287.1 (2002): 55. Martin, P., B.A. Weinberg, and B.K. Bealer. Healing Addiction: An Integrated Pharmacopsychosocial Approach to Treatment. Hoboken, New Jersey: Wiley-Interscience; National Institute on Drug Abuse, January 2007. Moeller, F.G., et al. "Citalopram combined with behavioral therapy reduces cocaine use: a double-blind, placebo-controlled trial." American Journal of Drug and Alcohol Abuse 33.3 (2007): 367. Morton, W.A. "Cocaine and Psychiatric Symptoms." Journal of Clinical Psychiatry, Primary Care Companion 1.4 Aug. 1999: 109-113. O'Brien, M.S., and J.C. Anthony. "Risk of Becoming Cocaine Dependent: Epidemiological Estimates for the United States, 2000-2001." Neuropsychopharmacology 30.5 May 2005: 1006-1018. Office of National Drug Control Policy. Apr. 6, 2005. Richardson, G.A., L. Goldschmidt, and C. Larkby. "Effects of Prenatal Cocaine Exposure on Growth: A Longitudinal Analysis." Pediatrics 120.4 Oct. 2007: e1017-e1027. Singer, L.T., L.J. Eisengart, S. Minnes, et al. "Prenatal Cocaine Exposure and Infant Cognition." Infant Behavioral Development 28.4 Dec. 2005: 431-444. United States. National Institute on Drug Abuse. "Cocaine." July 2018. <https://www.drugabuse.gov>. United States. National Institute on Drug Abuse. Preventing Drug Abuse among Children and Adolescents: A Research-Based Guide for Parents, Educators, and Community Leaders, Second Edition. Bethesda, Maryland: National Institutes of Health, 2003. 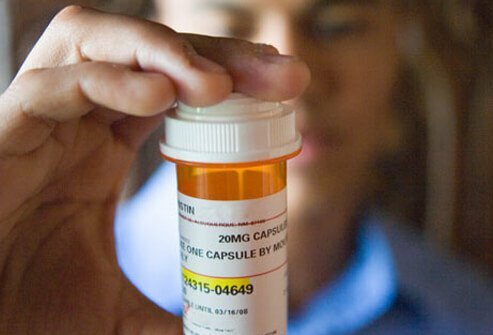 Learn how prescription drug and over-the-counter (OTC) drugs abuse can endanger your health. Get the latest information on depressant, pain reliever, and stimulant addiction. Please describe your experience with cocaine and crack use or abuse. What symptoms and/or signs did you experience during your withdrawal from cocaine or crack? Have you experienced any long-term effects from cocaine or crack addiction? A root canal is a dental procedure that's used to save an infected tooth. Treatment involves removing the tooth's nerve and pulp and then cleaning and sealing the tooth. Symptoms and signs that indicate a root canal is needed include toothache, discoloration, swelling, tenderness, prolonged sensitivity to hot or cold, and a persistent pimple on the gums. Typically, a root canal is no more painful than having a filling placed.